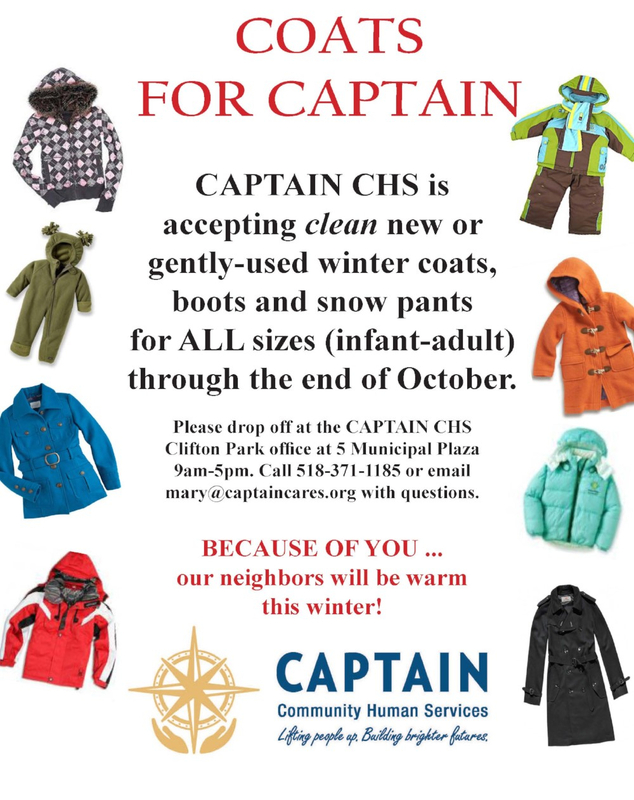 CAPTAIN CHS gives out coats, snow pants and boots during October and early November, in a variety of sizes from infant through adult to qualifying members of Saratoga County. Come to CAPTAIN CHS's Clifton Park office 9am-4pm, Monday-Friday, during October and early November to choose a coat, snow pants and/or boots. If you'd like to donate or host a coat drive, contact Nikki at 518-371-1185.